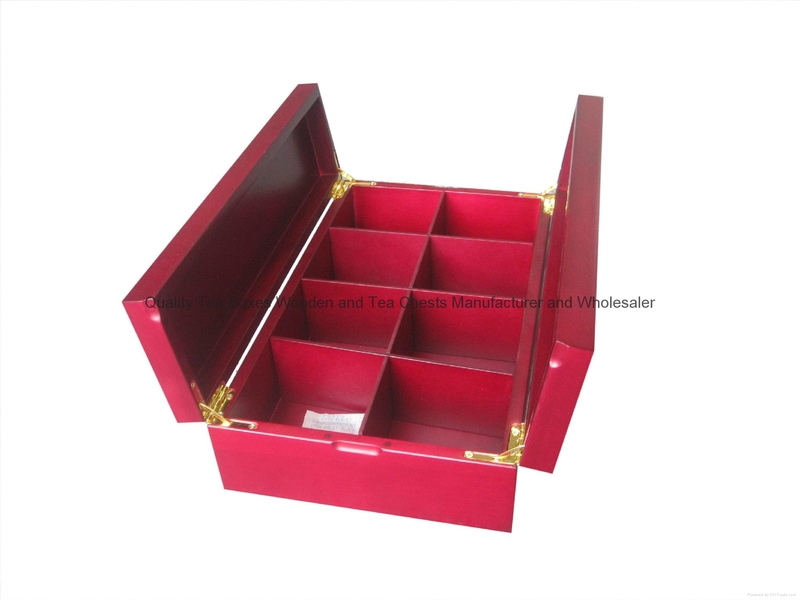 This beatiful luxuary tea chest and tea box is created with too opening door as lid.Inside is 8 compartment for tea bags packing. 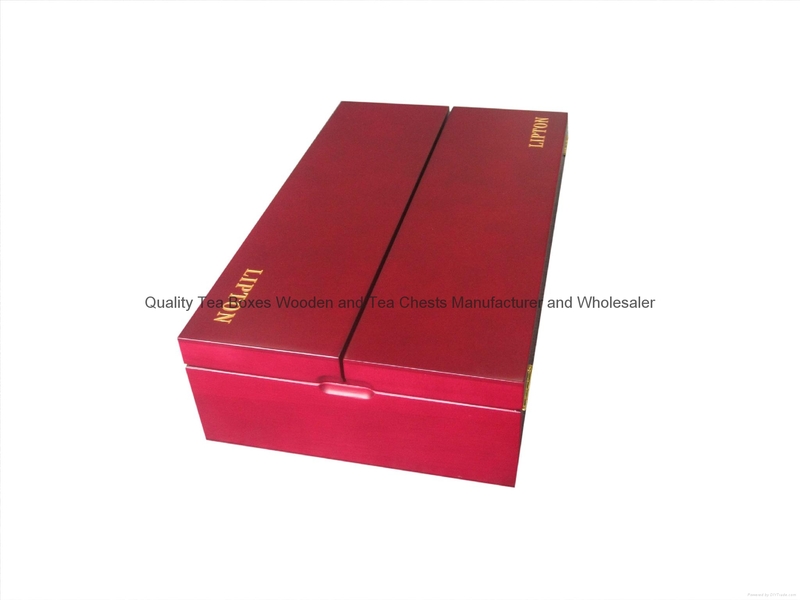 This tea box can be mahogany or dark brown finished as well as other optional color. Customer's logo is any color embossed onto the lid. You can sell this fancy tea box as gifts with paper sleeve wrapped.We cared for every detail as making this tea box. Smoothy sanding and correct color finished. Magnet closure and 180 degree hinges to asure the lid can be correctly closed and opened. We make every tea box for our customer with our responsibility and craft.To assure every box is in good situation, we inspect one by one before shippment leaving our factory. We accept any return or refundable policy for our box. 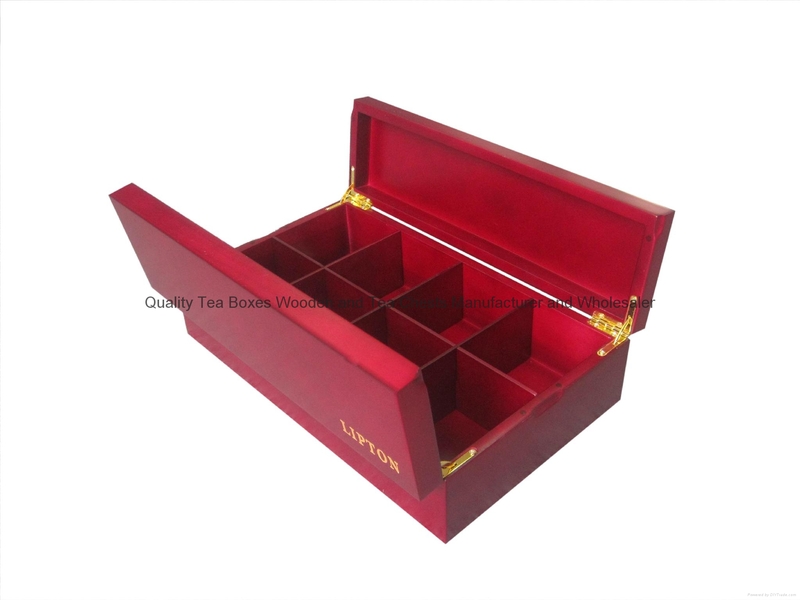 If you would like to find a reliable tea box and tea chest supplier and manufacturer in China, please contact us now.